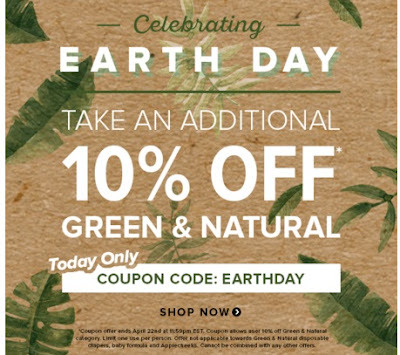 Well.ca is celebrating Earth Day today by offering an extra 10% off their green and natural products on their site! Enter the promo code EARTHDAY at checkout. Offer is valid Friday, April 22 2016 only.